Round about this time last year, I wrote an article covering what I thought was the poor coverage and promotion of the CSM8 election by CCP themselves. CCP Dolan promised me in an interview that we would see some initiatives during the election to get people to actually vote. What we ended up with was a mass Evemail and a short (and frankly, terrible) video. Despite what some said at the time, I predicted that voter turnout % would be down in the CSM8 election in comparison to CSM7. It dropped from around 17% to around 12%, a massive decrease given how many people actively engage themselves in the CSM process. 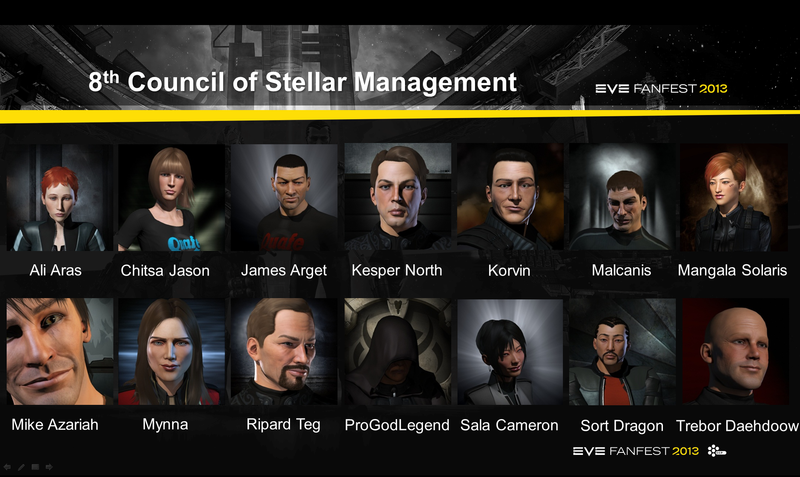 On 21/3/14 we had a dev blog from CCP Dolan confirm the CSM9 election schedule, process and candidacy applications. Yeah, that’s it. There’s been nothing else. No Evemails, no videos, no push on twitter or the forums, nothing. We are less than four days from the CSM9 election and CCP have done absolutely nothing to promote the event. I would understand if CCP felt it didn’t need to heavily promote the election after an incredibly successful event in terms of turnout last time around. Except the turnout for the CSM8 election was horrendous. Now I am all for not firing your powder too early on these things. Push election promotion too early and by the time it actually rolls around, voters will either have forgotten or grown apathetic. But we are now four days away. And there has been zero promotion. I don’t know who is to blame here but the situation leaves me incredulous. The fact that I am a candidate this year makes zero difference. Read those posts from last year when I was banging the same drum. I had hoped lessons would have been learned but it would appear not. Is it simply that CCP have grown apathetic about the CSM process? Is it that CCP Dolan’s job is such that he can’t devote the time to CSM work necessary? One only needs to look at the summer summit minutes fiasco to see that there are appears to be administrative problems with CCP when it comes to dealing with the CSM. We keep hearing that CCP is keen to get the CSM increasingly involved as a stakeholder, we see great slides in presentations at Fanfest and when pressed, we hear plaudits from the relevant CSM devs. And yet CCP appear to be unwilling to get people involved in the election process, a vital part of what makes the CSM. I have some ideas about how things can be improved but whether elected or not, if the voter turnout % is down for the CSM9 election in comparison to CSM8, I will be all over CCP.